Putting together your wedding registry is undoubtedly one of the major delights of the planning process. It’s not every day your friends and family are eager to shower you with gifts, after all. Choosing where to register, however, can quickly become an interminable process. Ultimately, though, your wedding registry should be filled with special pieces that reflect who you are as a couple. With that in mind, here are five registry-worthy shops you may not have considered, but most definitely should. Dinnerware on a wedding registry? Standard. Adding Myrth Ceramics’ handmade stoneware to the mix? Inspired. Husband-and wife-team Eric and Abigail Smallwood craft each piece in Allston with what the duo refers to as a “natural, calm aesthetic” inspired by New England’s scenery. 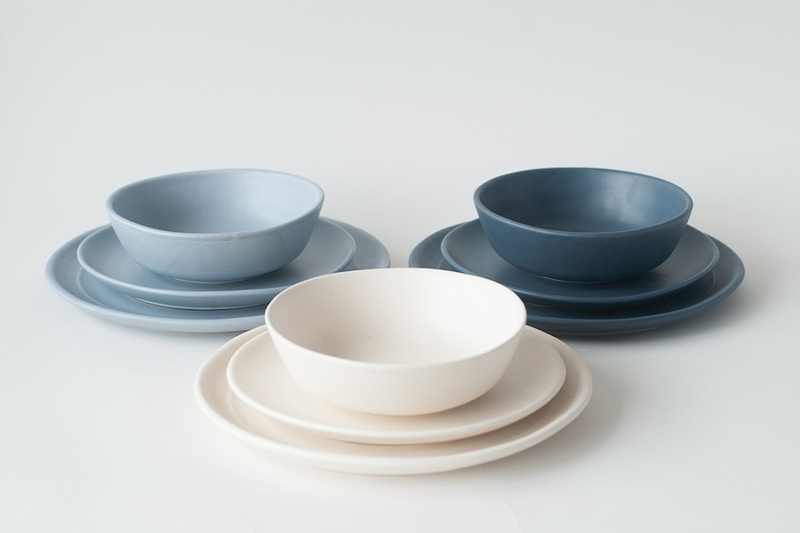 Plus, from three-piece place settings in soft blue hues to dishwasher- and microwave-safe pitchers, the couple’s ceramics are as beautiful as they are practical. Contact the team to visit their studio and set up a personalized registry that your guests will be able to shop online. 119 Braintree St., Boston, myrth.us. Attention, adventure-loving couples: Forgo the glassware and go for gear. Whether you’re a climbing-, a camping-, or a cycling-obsessed pair, at REI you can prep for a fun-filled marriage by creating a registry full of backpacking kitchen supplies, sleeping bags, or travel duffels. You can also send out email announcements with a link to your registry, as well as get updates in your inbox about your registry’s status. 401 Park Dr., Boston, 617-236-0746, rei.com. In addition to carrying fine watches and jewelry since 1796, Shreve, Crump & Low also offers high-end pieces for your home at their Boston flagship store—a three-story brownstone on Newbury Street. Start your lives together in luxury with a William Yeoward crystal vase, a five-piece flatware set with a silver finish, or a delightful MBTA trolley ornament. 39 Newbury St., Boston, 617-267-9100, shrevecrumpandlow.com. Yes, you could register for furniture at any number of chains or department stores that will ship your sofa or dining room table from a factory in a faraway locale. Or, you could draft your wish list at Circle Furniture, where most of the shop’s high-quality pieces are made by New England-based artisans. Browse modern and traditional seating, tables, rugs, and storage for every room in store, then create your registry online. The store’s website lets shoppers purchase an item outright, or chip in for one alongside other wedding guests. 31 St. James Ave., Boston, 617-778-0887, circlefurniture.com. You already know you love Greentail Table’s dinnerware, drinkware, and décor. What you might not realize, though, is that this Newton shop also offers a gift registry that’s perfect for couples who love to entertain. Find bar accessories, patterned serving trays, colorful tea towels, and more in store and online, where you can create and manage your registry.